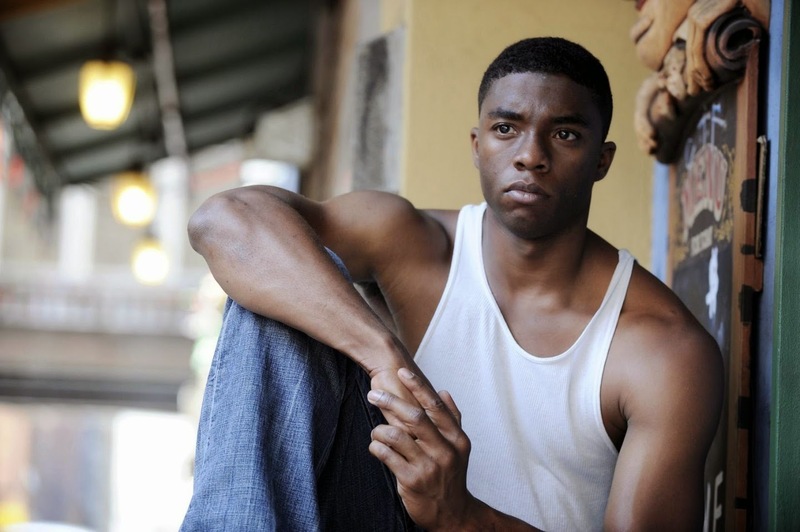 Chadwick Boseman announced to play Black Panther. Man alive has this been a rollercoaster. I posted last week about how Marvel and DC are in some kind of diversity arms race right now, and it feels like they're trying to prove me right. Yesterday it came out that Dr. Stephen Strange would be played by Benedict Cumberbatch (who's a perfectly good actor, but not what we were hoping for), and it seemed like our dreams of a Marvel Cinematic Universe that's not just white guys were dribbling away. But then! Today we got the announcement that Marvel has fully planned their "Phase 3" film projects, and they include not only Captain America: Civil War and Dr. Strange, but also Black Panther in 2017 and Captain Marvel (the Carol Danvers version) in 2018. Followed by Inhumans and a two part Avengers movie that deals with all of the infinity gems, it looks like. So I'm having a pretty good day. Granted, I'm still bummed that we won't get to see Oded Fehr take on Stephen Strange, and I really really desperately want a Black Widow movie to happen someday please. But the announcement of two new movies headlined by a man of color and a woman is a big step in the right direction. Also, we have been informed that the Black Panther movie already has its lead, with Chadwick Boseman coming in as African king T'Challa. He'll be appearing in Captain America: Civil War as well, so there's a strong possibility that the story there will actually stay pretty close to the comics. As in, T'Challa will hopefully be the one to fix Steve's broken shield, not Tony. Yay! Because in the comics T'Challa is a verifiable technology genius, and frequently outperforms Tony Stark. It'll be nice to have some great representation like that on the big screen. This casting and the movie schedule does seem to confirm my suspicion that Chris Evans will be stepping out after Captain America: Civil War, though. I don't blame him - he's been very open about how much stress the Marvel movies cause him and how he really wants to go back to doing more indie work and try his hand at directing. More power to him for choosing where to go in his career. But if Evans is stepping out (and that would be the logical time to do it), then that suggests Steve Rogers will, in fact, be dying in Civil War. So who's going to pick up the shield for Avengers 3? Bucky Barnes or Sam Wilson? Just generally speaking, all of this is good news. Marvel hasn't announced a writer, director, or actor for Captain Marvel yet, but they did suggest that the news would be forthcoming. Personally I'm holding out for Kathryn Bigelow to direct if they're going to be setting it in Carol Danvers' more military background. If they're going to go with the stories of Carol in space, though, a la her current run and crossover with Guardians of the Galaxy just in time to bring everyone together in Avengers 3, then I have no idea who should direct. I'm just plain excited. As for the casting, I'm willing to bet that Marvel will be picking a more unknown actor. But then, who knows. Katee Sackhoff is still the fan favorite, but there are other women who would be equally interesting in the role. Anna Torv has been mentioned a few times, and I personally would be really interested to see what Teresa Palmer does with the role. Or someone else. I'm mostly just glad they're doing it. That's your update for today. The diversity arms race rages on. Stay tuned to see how DC fires back. If Teresa Palmer plays Carol Danvers, then does that mean we can get her husband, Mark Webber (Scott Pilgrim) to direct? YAY! :D Really happy with these new developments! :) Glad Marvel and DC are starting to see how being diverse will benefit them(I've been wanting a female-led superhero film ever since I was a kid and I played superheroes with my sister and cousin). 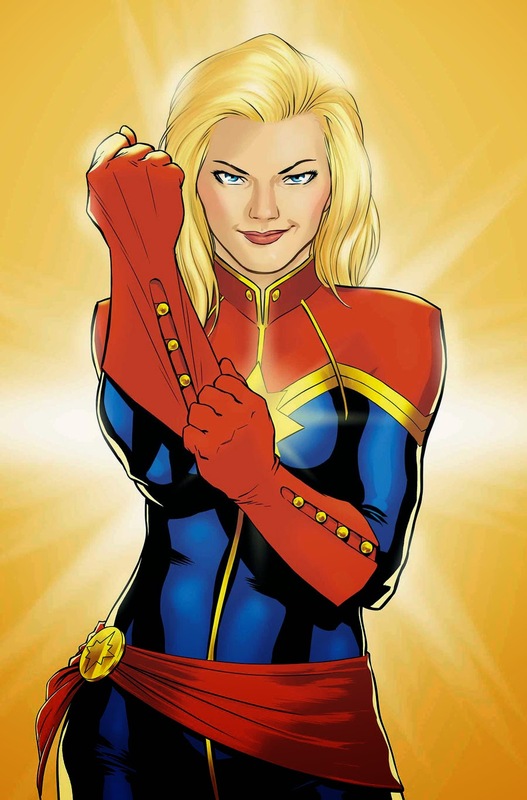 Since I'm an actor, I'd love to play Captain Marvel, but I think I'm a bit too young(in college currently). I'd have liked to see Chiwetel Ejiofor in the part (not my own idea, just one that caught me up). Fehr would have been my second choice. and I really really desperately want a Black Widow movie to happen someday please. Oh yes. We know she has a hell of a past, even if the Red Room stuff isn't in this continuity - just from the understanding she shows of how destructive Loki's mind control was - and the implication of her timeline is stil that she was recruited extremely young. She's trying to define herself in the wake of being instrumental in destroying what she'd previously used to define herself (and I wouldn't be surprised if this isn't the first time that sentence could be applied to her) - and she's alone as far as I can tell - so she has a hell of a present as well. For all its many many faults as a film, Lucy proved that Johansson has what it takes as a lead, if anyone doubted it. What isn't there to want? For me... something that takes in her past, but mines it as clues and context to the present rather than a flashback origin story (sort of like the way Ra's Al-Ghul is used in the Dark Knight Rises). Preferably including another woman from the same background for her to do tense frenemy stuff with. And since she's the violent superspy with questionable morals, go with that - explore how brutal that life can be, and how hard she has to struggle to hold on to being a hero (not sacrifice the way Steve does: because she knows if she sacrifices, the first thing to go will be her conscience in favour of expediency; instead a struggle for balance). Also, we have been informed that the Black Panther movie already has its lead, with Chadwick Boseman coming in as African king T'Challa. I don't really have an opinion on Black Panther because I know next to nothing about him. But less specifically, a black leading hero is great to see. I said my preference in another post, but it's on topic here, so I'll do it again. :) I'd prefer Bucky get the shield, because he's the former Howling Commando, and it would make a fitting capstone to his recovery from being the Winter Soldier; and because I'd rather see Sam retain his Falcon identity, and have him go on to be his own lead in that capacity. On the other hand, I'd like to see Sam be the one to wield Mjolnir in a time of great need. (And also Sif to take it up when Chris Hemsworth decides *he* wants to step out). If they're going to go with the stories of Carol in space, though, a la her current run and crossover with Guardians of the Galaxy just in time to bring everyone together in Avengers 3, then I have no idea who should direct. I'd like them to get Kenneth Branagh back. If Carol does serve as a bridge between the Earthside and space opera spheres, then her own tone needs to mix grounded and fantastical, which Branagh showed he can pull off in Thor. (And while the feminism of Thor is down to the writers and actors as well, getting one part of that equation on board can't hurt). Anna Torv is my own pick for Carol. A number of fans are on board with Emily Blunt as well.